The Ohri’s group is no newcomer to the food and beverages scenario in Hyderabad. 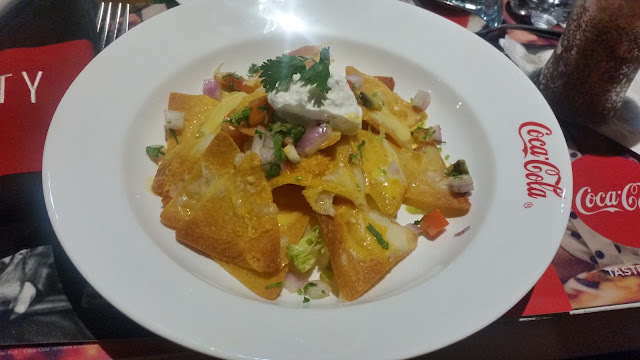 With more than twenty restaurants offering cuisines ranging from continental and Indian to Pan-Asian, and dishes from sizzlers to ice creams, they have been a preferred destination of Hyderabadi food lovers for a long time. So, it is but natural that when Coca-Cola decided on Hyderabad to open their first Coca-Cola Happiness World in India, they chose Ohri’s as their partner. Coca-Cola Happiness World at Sindhi Colony is not just a restaurant, it is a concept outlet which showcases the rich legacy of the global corporation. The walls are adorned with information about the 130 years old rich heritage of the brand, as well as its association with sports and iconic superstars. Local musicians play live music at the Coke Studio corner. The menu showcases the frozen drinks and as well as drinks developed exclusively from Coca-Cola product range - Classic Frozen Coke and Frozen Fanta well as the mocktail range of Kesari Magic and Almond Pista Delite Shake which are prepared from VIO, the flavoured milk brand of Coca-Cola. The mocktails have been jointly developed by Coca-Cola and Ohri’s team. The food section also has a rich menu ranging from savouries, pasta, and sizzlers to desserts. 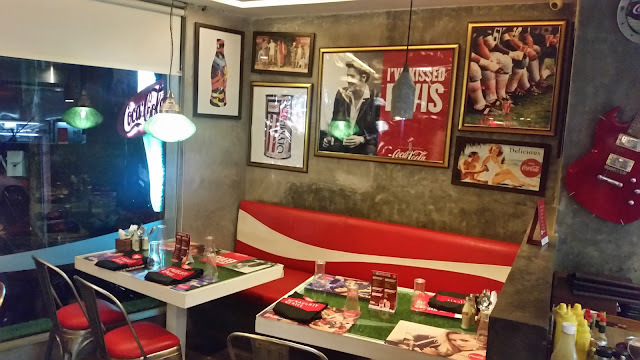 The outlet also plans to launch signature Coca-Cola merchandise soon. Invited as part of a team of bloggers to the celebration of the first anniversary of the concept outlet, we were briefed about the various facets of the store and presented with a special menu for the occasion. 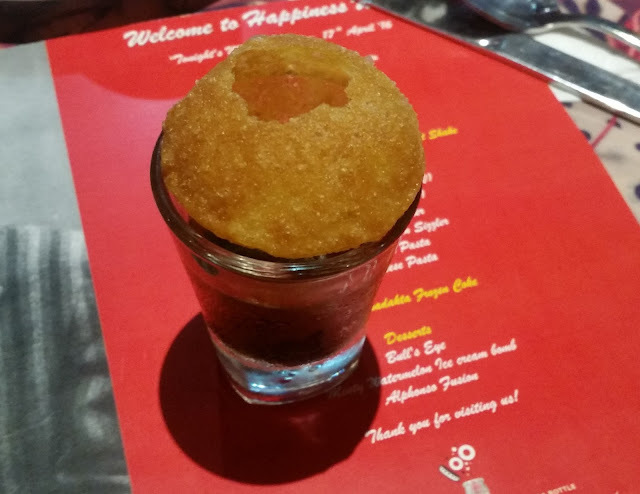 We started with the fiery Cokegappa, a panipuri accompanied by a tangy masala coke shot, which was spicy enough to create a buzz. This was followed by a glass each of Classic Frozen Coke and Frozen Fanta. The frozen drinks which keep you cool for a long time would definitely find many takers in the hot Hyderabadi summer. It was time for the appetizers, and they did not disappoint either. I loved the Mexican Chilli Nachos with melted cheese, salad, and sour cream. 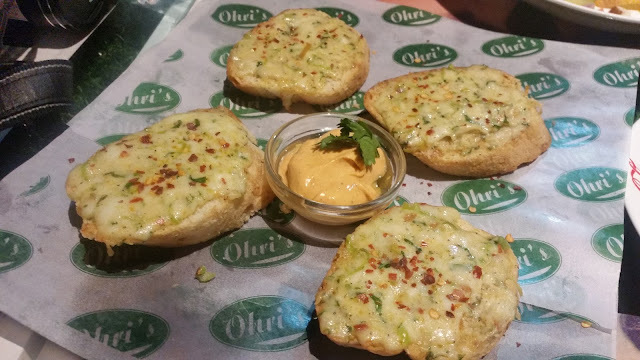 The Cheese Chilli Toasts had adequate cheese topping and a delightful dip to go with. My favorites were the finger-shaped fried Chicken Tenders served with sour cream. 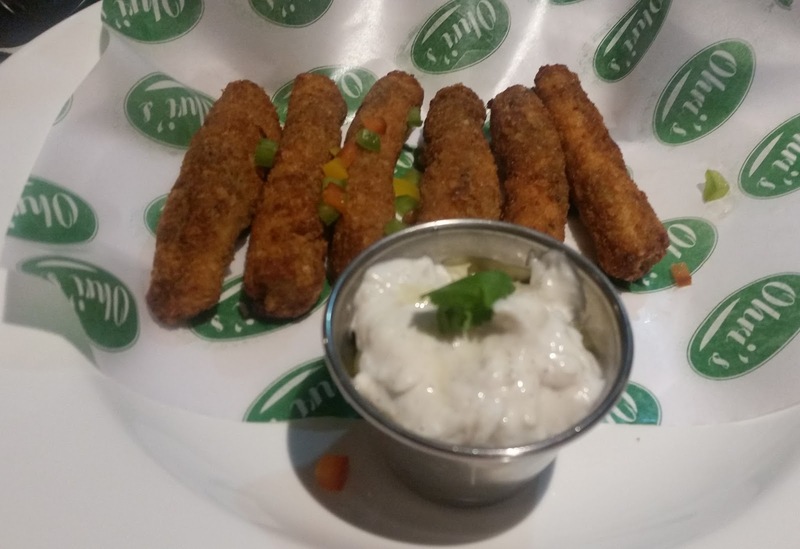 The only starter I did not like was the Loaded Cheesy Fries, some of the fries were underdone and I wished a little bit more of cheese was added to them. At this stage, we tried two drinks prepared by Anoop, the mixologist from Ohri’s. The Almond Pista found favour with most of us, a concoction where pistachios were added to the VIO Almond Delight to prepare a delicious drink. However, I personally liked the Kesari Magic more. 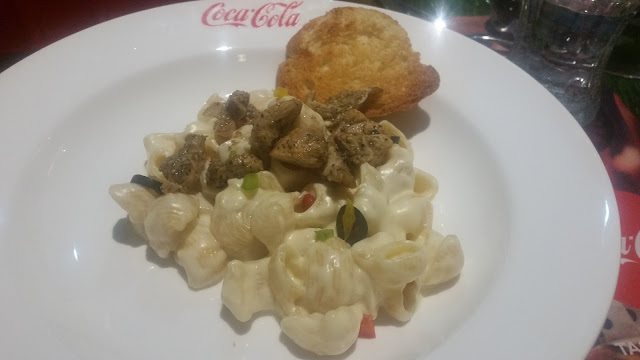 From the pastas available, Mac N Cheese was served with small pieces of chicken and garlic bread. I would rate it as pretty decent but nothing spectacular. 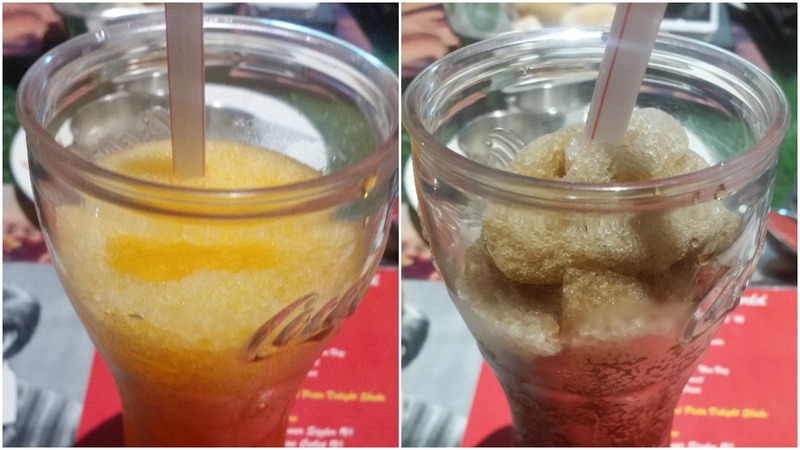 This was accompanied by a new frozen coke drink – called “Tadakta Bhadakta Frozen Coke” and served in an earthen tea cup. This was hot and spicy and garnished with a red chilli on top. 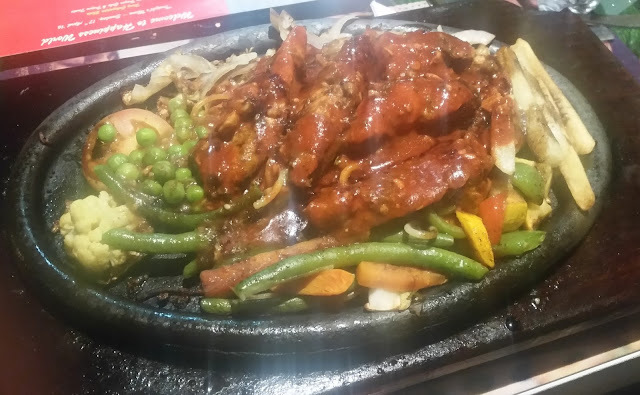 The Dreamy Durban Chicken Sizzler was a hit with me. I loved the aftertaste of spices in the grilled chicken in piri piri sauce served with spaghetti and vegetables. It was nice and tasty but super-hot, so please order only if you can take that. 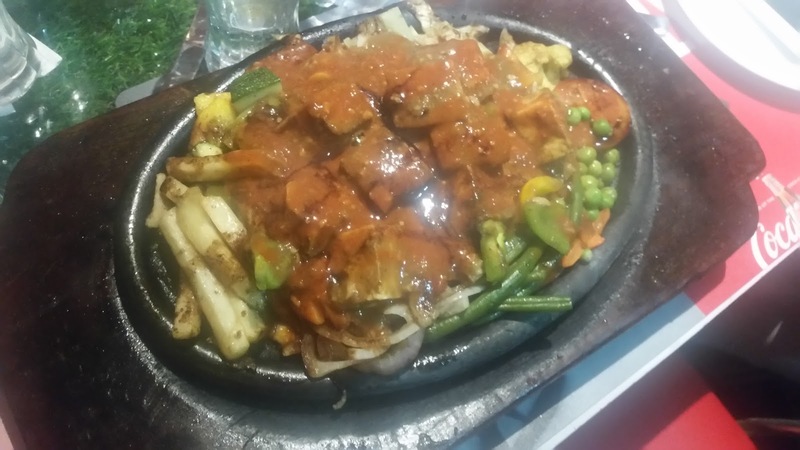 Barbeque Chicken Sizzler and Vegetarian Paneer Sizzler were the other sizzlers on offer. Ohri’s ice creams are too well-known. Even more than a decade ago, my son used to regularly plead with me to take him to Ohri’s Havemor outlet in Basheerbagh for their signature ice creams. 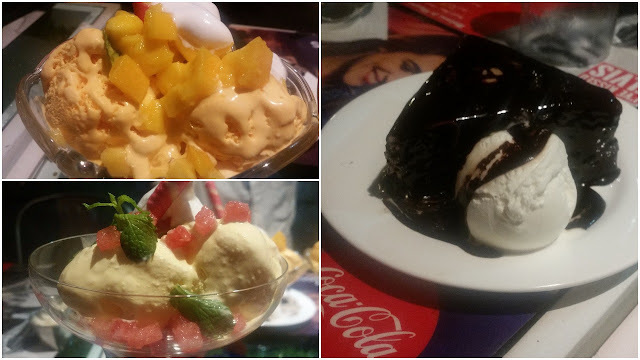 The ice creams served here, Alphonso Fusion (mango) and Minty Watermelon were very enjoyable. I did not try the Bulls Eye, chocolate cake served with ice cream, as I am not too fond of that. But I could see my fellow bloggers enjoying it. All this while, live music was being played at the Coke Studio corner, and the young gentleman singing was pretty good at it too. An Ohri’s blogging event is always a treat to attend, due to the undivided attention you get from the staff. And of course, I loved the hamper given to us with a personalized special Coca-Cola can bearing my photograph on it. Coca-Cola Happiness World is a cool place to hang out with friends and family. There are positivity and buzz in the ambience and the menu has everything for all occasions, from bite-sized snacks to full course dinner, and of course some signature drinks from the Coca-Cola. 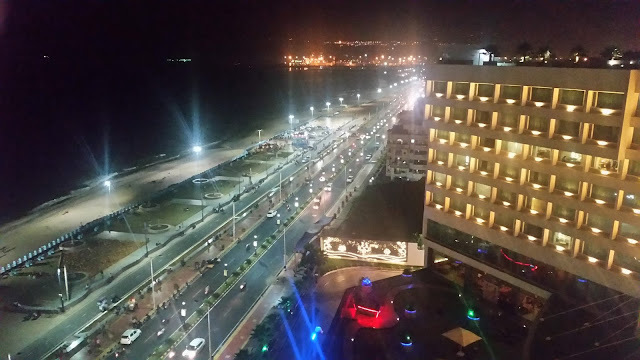 It is a fun and happening place which promises to bring a smile to your face. Coca-Cola is planning to roll this out in all the metros. It was so sunny and hot. Is the way to behave with the customers? Are they doing global warming,or saving power. I would tell people to think twice before going to such a place,and spoiling ur mood and ur family ,friends mood.